Preheat the oven to 325. Line a large roasting pan with foil. 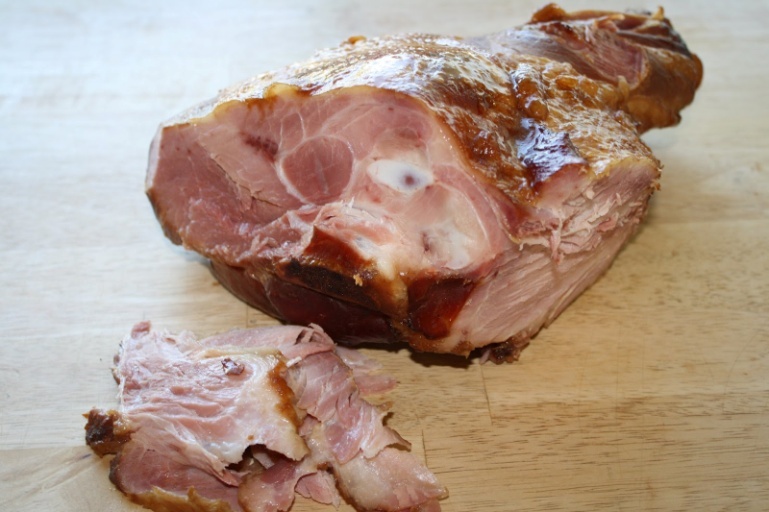 With a sharp knife, score the fat all over the ham in a diamond pattern. Place the ham, cut side down, in the roasting pan and cover tightly with foil. Bake for 1 hour. Meanwhile, reduce the balsamic to 1/2 cup, by gently simmering it in a medium sauce pan set over low heat. This process should be done slowly, taking approximately 20-30 minutes to complete. When the balsamic has become thick and syrupy and is reduced by half, remove from heat and whisk in the Dijon mustard.